Struggles with Managing Your Finances? Lacks confidence or worries about your finances/money? Struggles with getting your business started or increasing your income? Feels fear, guilt or shame about debt you may have accumulated? Gets stopped no matter how hard you try to make changes in your money habits? Worries about your financial future? Have an Action Plan and Process in Place to Create Lasting Financial Freedom!! I’m Opening up 2 spots to Coach with Me for 30 minutes– at no cost. "Before I started working with Estelle I had sorted a lot of my money issues, but I was really stuck with practical ways to move forward – I needed help! I had the most wonderful session with Estelle. She was so easy to talk to and put me at ease when some really difficult money issues came up. Her worksheets were so helpful and the clarity that I had with those was so profound. Estelle was so skillful, she made everything seem much more do-able, easier, more fun and less scary. Estelle was gentle in her approach and yet her strength shone through too. Now I have so much more clarity about where I am with money, what to do with it and how. I feel supported and able to move forward with my new skills and I just know that I couldn’t have done that with Estelle’s expert help and guidance." 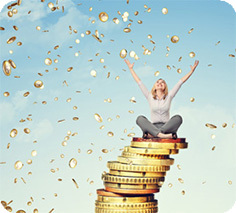 Discover YOUR top 3 Sacred Money Archetypes revealing the most profitable actions you can take to increase your income and secure your financial freedom and future. Pinpoint Your Money Blind Spots and identify opportunities for empowering your financial decisions and your personal growth. Clarify Your Money Goals and learn the one simple next‐best step You Can Take Immediately! And you'll also receive 2 BONUSES!! BONUS #1 - The Sacred Money Archetypes Assessment. 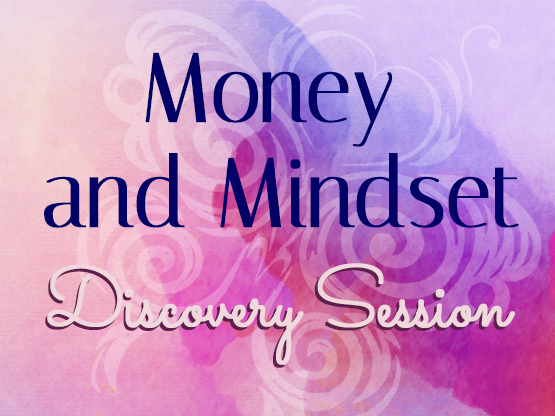 You'll discover Your Sacred Money Archetypes, unlocking what makes You tick when it comes to money. This Powerful Assessment is only available from Certified Sacred Money Archetype Coaches. 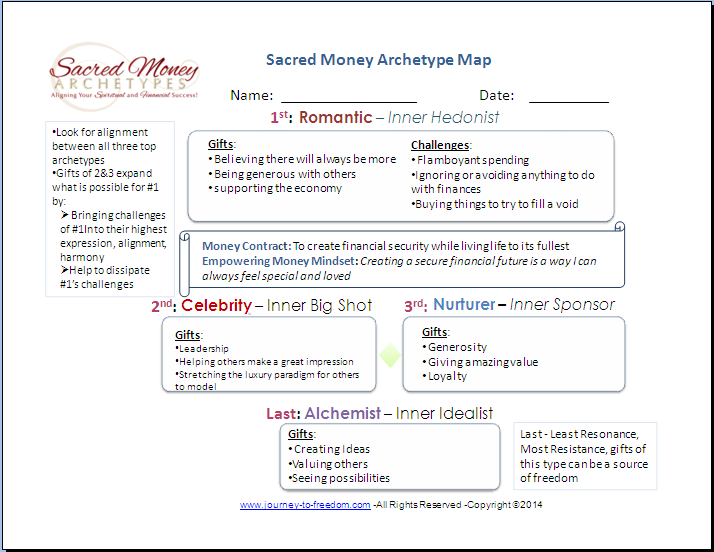 BONUS #2 - A Customized Sacred Money Archetype Map that summarizes your top 3 money archetypes detailing the gifts and challenges of each, your Empowering Money Mindset, Your Money Contract and more. Complete the information below to apply for a session. I’ll send you the Sacred Money Archetypes Assessment with instructions to complete it and you’ll send me your results. Once I receive your results, we’ll schedule a time to meet on the phone for your 30 minute session. The open spots are available for You if You're ready to take the Inner and Outer Actions to move past your limiting beliefs and Create Lasting Financial Freedom! If this describes You, then I invite you to complete the information below and apply for one of my next available openings! All applications are carefully reviewed and considered. Spots are limited and fill up quickly, so if you’re interested You’ll Want to Apply today so that you can begin to Transform Your Relationship With Money! I am grateful to your willingness to offer me a consultation. I can see that what you do is of great benefit. How could I not keep momentum - I'm taking whatever steps I can now, and not waiting anymore, because I really appreciate the expertise, time, and energy you offered to me. And I'm excited about the potential. Estelle is very, very good at what she does! I attended a teleclass she facilitated and was so impressed I scheduled a complimentary session. Estelle can accomplish more in 30 minutes than most people will ever gain in a year from any other kind of counseling session. She instantly saw the problem, pointed out the positives and helped me to realize that I really, really believed I could do it! The time I spent with you was an awesome 30 minutes that has truly changed my life. Thank you for using your gift and talent so graciously and generously.